I know people have been tinkering with the EfikaMX and other imx5x devices doing GL ES mostly professionally, but I decided recently to add some eye candy to Genesi's GL ES2 testsuite (X-based) just to see how far I could push the 3D GPU in there (and because I like shiny things, but that's strictly between us). 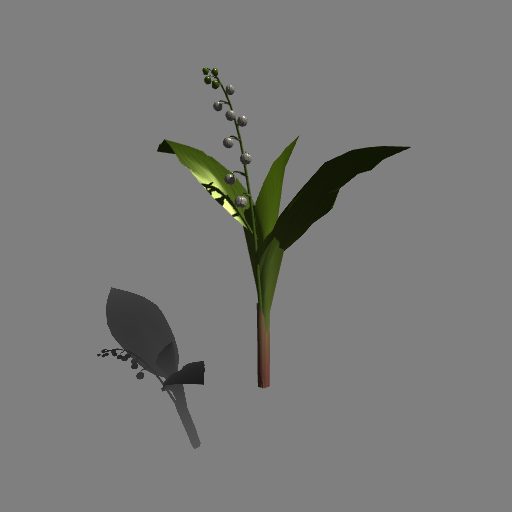 So after some experiments with shadow maps (alas, our Z430 does not do PCF natively) I added a few scripts that use one of the testsuite's apps to show a bunch of models I stumbled upon on the world-wide net (some amazingly talented and generous people out there). Keep in mind the self-shadowing shaders are not the lightest of GPU workloads (for such a class of hw, anyway), and neither are most of the 3D meshes used, so expect to see plenty of teen framerates (imx53 fares better, of course). Also, the 4x MSAA used throughout the demos might seem like an overkill, but it is actually quite cheap on the Z4xx hardware, so I kept it for the extra beauty. 1. make sure you have Genesi's or Freescale's stock GLES2/EGL1.4 X-based stack with all headers. 5. run any of the run_*.sh scripts and enjoy. ps: man, I miss the old demoscene times. I guess that makes me old too. But I hope we will get to see the spirit from those days flourish once again on the new low-power (but quit potent) devices. Let's see if others can take this work and expand upon it. Anyone up for a small GL ES demo competition? Post your results in this thread. We will attach some prize to the best entry. Anyhow, just wanted to mention that all mesh assets in the demo are in an ASCII-based format (.mesh and .mesh2 variation), which is rudimentary alas custom (trivia: it originates from BeOS's teapot demo). Most people might not feel like writing yet another mesh format converter, but for those who'd still want to use a simple, human-readable format while being able to access more serious assets, ntsh-jass (and old scenegraph testbed of mine) reads .3ds (via lib3ds) and writes to .mesh and .mesh2. As ntsh-jass has versions for various shader-enabled GL revisions (legacy ARB_progam, desktop GLSL and ES2's GLSL), you can build and run it on pretty much every GL platform which has GLUT or EGL, load a .3ds mesh and then save it to ascii via a runtime keystroke.